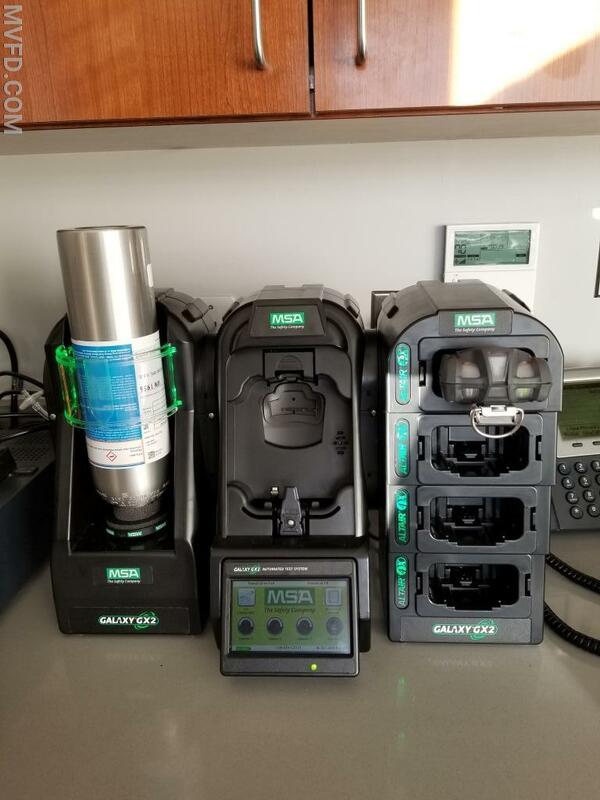 The Mechanicsville VFD recently purchased a new inventory of MSA Altair 4XR gas meters. These meters detect Oxygen, Carbon Monoxide, Hydrogen Sulfide, as well as levels of certain combustible gases in the atmosphere. They have both a high and low alarm to warn our firefighters of dangerous environments. These meters will be on used on a variety calls such as unknown odors, gas leaks, carbon monoxide alarms etc. One will be placed on each piece of fire apparatus, with Rescue Squad 2 having two. This upgrade modernizes and standardizes our inventory of meters across our Department. 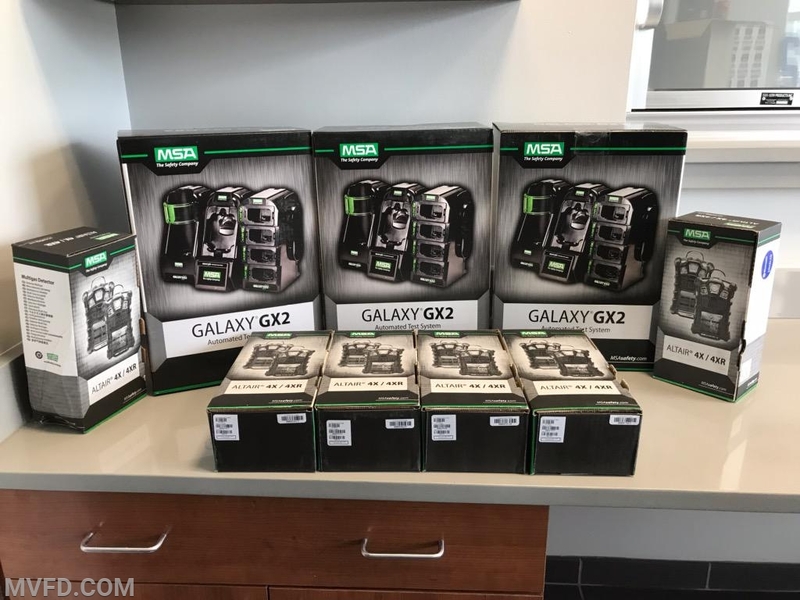 One significant benefit of this new system is the Galaxy GX2 automatic calibration station. This system calibrates and bump tests our meters automatically ensuring a proper calibration as well as logging the event. We have conducted training on these meters and placed them on our apparatus. These meters will help ensure safe environments for our crews and property owners alike. The Department purchased 6 new meters.